Visit the "Members Only" area on NFPA online community, NFPA Xchange™ and select "Technical Questions". Visit our document information pages. Select your document from the complete list of NFPA codes and standards. You may also go directly to a document by typing "www.nfpa.org/document#" (ie. www.nfpa.org/70) in your browser address bar. Then select the "Technical Questions" tab. Call +1 800 344-3555, option 3, between the hours of 9:00 am-5:00 pm (EST) Monday through Friday. Please have your NFPA membership number on-hand. Join NFPA today to get access to the Technical Questions Service, NFPA Journal® subscription, bimonthly newsletters, 10% discounts on NFPA products and services, and more. Learn more about NFPA member benefits. Or connect with your peers and colleagues on NFPA’s online community, NFPA Xchange™. 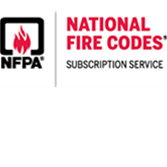 Important notice: NFPA’s Technical Questions Service is meant to provide information on and assistance in accessing and understanding NFPA codes and standards. Any opinion expressed, therefore, is the personal opinion of the responder and does not necessarily represent the official position of the NFPA or its Technical Committees. In addition, responses provided are not intended, nor should they be relied upon, to provide professional consultation or services. Technical Questions Service should also not be used for questions involved in litigation.